A hundred years ago, when World War I was in its infancy, Emperor Franz Joseph of Austria called up my great-uncle-in-law Alexander Loebl, Esq. and asked him to serve in his army. Uncle Alex had just graduated from law school, and though he was a loyal citizen of the Austrian Empire, he was terrified of going to war. “I simply can’t go,” he told his crestfallen family. That evening Alex went to the opera, Vienna’s most sacred and treasured form of entertainment. His panic attack, however, escalated. At intermission Alex even fainted! What was he going to do? He knew that it was impossible for him to obey his orders and take the train to the front, and it was equally impossible for him to shame his patriotic family by not going. 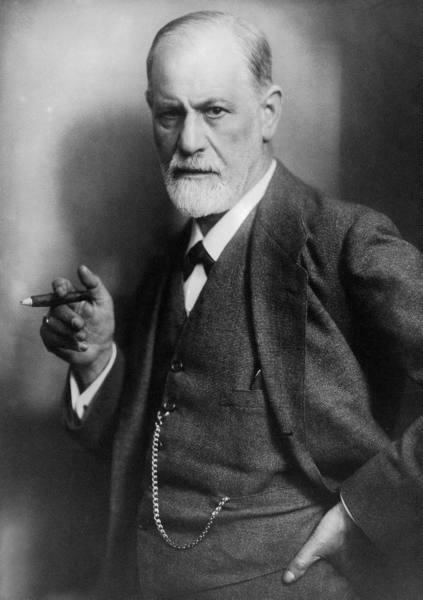 Fortunately, some member of the family had heard of that “crazy” doctor who claimed that he could cure hysterics by “talk therapy.” The next morning Alex, armed with an ancient revolver, went to Freud’s home/office at Berggasse 19. He rang the bell and was admitted. In the entrance, two of the good doctor’s sidekicks confronted him. “I must see Dr. Freud immediately,” Alex barked, “otherwise I’ll shoot myself.” Freud’s helpers continued to deny him access. To his family’s great relief, Alex complied with his orders. As a lawyer he never had to face active duty and he survived the war. He practiced law in Czechoslovakia, married Martha and lived peacefully in Bruno. Twenty-four or so years later, as the Nazis intensified their war against the Jews, Alex was about to be deported to a concentration camp where he surely was going to be murdered. His good Christian wife hid him as best as she could; still during the next three years his life was at constant risk. “During all these years,” he recalled after, “I thought of Freud and his brown eyes and recalled him predicting that I would survive ‘many wars.’” That gave him the faith to survive. This entry was posted in family stories and tagged anxiety, austria, austrian jews, family, family stories, family story, freud, jewish history, nazi germany, sigmund freud, talk therapy, vienna, war, world war i, world war ii. Bookmark the permalink. The breadth and depth of your historical anecdotes always inform and entertain. And now we learn that your husband has a cache of them too. Keep the nuggets coming! Join the lecture circuit! And please keep writing. Agreeing with Joseph! Get this story (and the rest of em) onto the lecture circuit, ASAP!